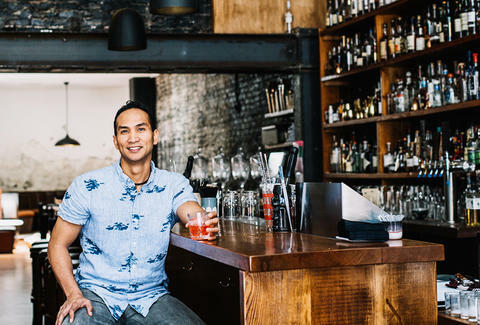 Kevin Diedrich is the brains behind Pacific Cocktail Haven, one of San Francisco’s most popular drinking destinations, and also our 2016 Bartender of the Year. And while he definitely loves his job, especially the part where he gets to come up with creative new ideas for cocktails, he admits it can also be exhausting. “In the industry, we’re always on. We’re always out in bars and restaurants and talking to people, so it can be hard to relax,” Diedrich says. When he and his wife can’t take it anymore and need to escape the chaos for a couple of days, they love to head up north to Portland, Oregon, where they find it’s easier to turn off. 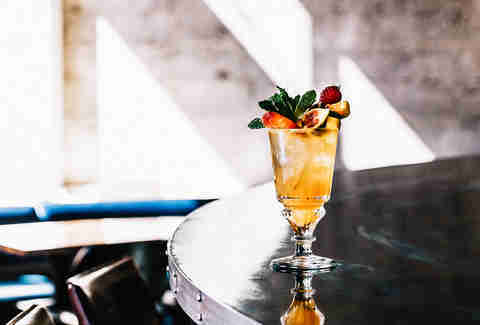 Plus, as he notes, “it’s significantly less expensive than San Francisco.” From the best of the city’s cocktail bars, to a casually impressive bistro, and a couple of outdoor retreats, here’s where Diedrich loves to go when he retreats to the City of Roses. 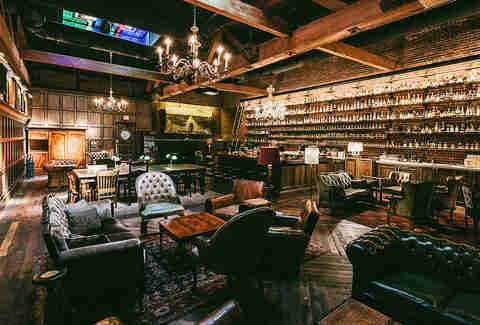 For those who love whiskey as much as Diedrich, a stop at the Multnomah Whisk(e)y Library, with 2,000 bottles lining its walls and a staff with intimate knowledge of them all, is a must. Even the decor leans into the library concept, with a sliding ladder to retrieve top-shelf bottles and seating in cozy leather chairs. While non-members generally have to wait in line for a seat, a $25 “Hall Pass” allows visitors to make a one-time reservation. Diedrich calls Expatriate, a bar/lounge with a menu of “drinking snacks” from Beast chef Naomi Pomeroy, “an awesome restaurant that does great cocktails and badass food.” While he is a huge fan of their brunch and sake program, the one thing that keeps him coming back again and again is the martini. “I’m a sucker for a martini. A perfect martini is how I like to start dinner,” he says. What does Diedrich’s perfect martini consist of? “Two ounces of a London dry gin that’s big with juniper and citrus, one ounce of dry vermouth, a dash of bitters, and a lemon twist. 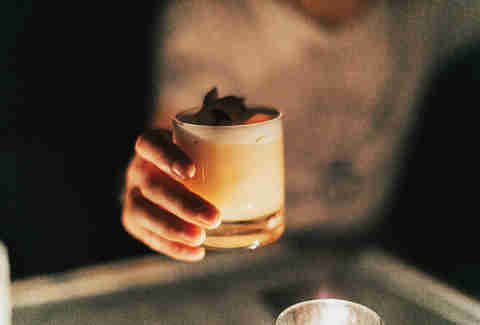 Diedrich says tasting the Spanish Coffee cocktail at Huber’s Café, Portland’s oldest restaurant, is the No. 1 thing visitors have to do in the city. The coffee -- which is spiked with Bacardi 151, Bols Triple Sec, and Kahlua, and is flamed tableside, then topped with fresh whipped cream and nutmeg -- is so popular that Huber’s is the largest independent restaurant user of Kahlua in the US. “It’s like going to Buena Vista in San Francisco for Irish Coffee; everyone does it,” he says. Diedrich is friends with the owners of Teardrop Lounge -- considered pioneers of the cocktail renaissance in Portland (they even feature one of his drinks, Lime in da Coconut, on the menu) -- but that’s not the reason he always finds time to stop into the Pearl District bar when he’s in town. “Being in the industry, it’s very important to be able to tune out and find that balance,” Diedrich says. 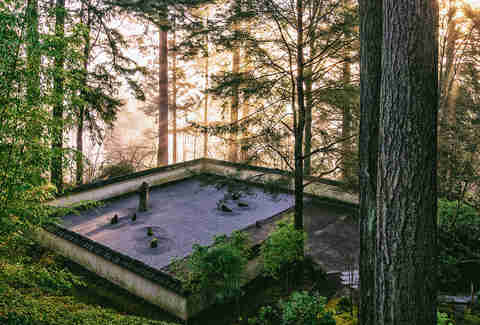 To escape the cocktail circuit, he and his wife like to go up to the Portland Japanese Garden. Located in the West Hills, overlooking the city, the tranquil space features eight different garden styles on 12 acres, winding streams, an authentic tea house, and stunning views of Mt. Hood. Diedrich and his wife also always make sure to wake up early so they can visit the Portland State University Farmers Market that’s open year-round on Saturdays. The 140-stall market hosts more than 200 different vendors throughout the year, as well as seasonal chef demonstrations and live music. “It’s in the park, so you’re surrounded by trees and greenery. Everyone’s cooking, and there’s great weather, so you can just sit and relax,” he says. 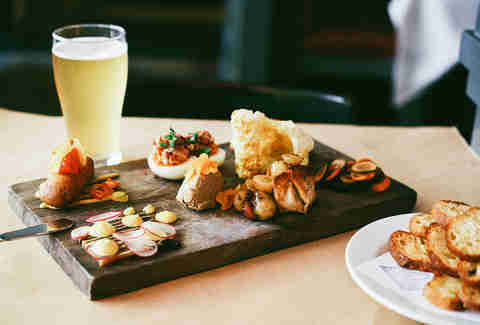 A lot of people consider chef Gabriel Rucker’s acclaimed Le Pigeon as the restaurant that put Portland on the culinary map, but in keeping with his quest for chill, Diedrich prefers its more casual sister restaurant, Little Bird. The two-time James Beard Award winner’s eatery offers French-inspired dishes (including a popular double-Brie burger) in a two-level space with red banquettes.